It was known primarily as an industrial destination with the presence of companies such as RCF and BARC. Today, Chembur is transforming rapidly into a premium real estate destination of Mumbai, with industrial units, dilapidated slums and old buildings being replaced by modern high-rise towers. The Mahul creek, home to thousands of flamingos migrating from Gujarat every year from November to June, was once a major international port of Mumbai. The once gigantic hills near Trombay were gradually razed for various reclamation works in the city. Proximity to a previously operational port played a key role in Chembur’s development as one of Mumbai’s major industrial locations. Subsequently, Chembur also saw the development of small housing colonies for the working population to reside in, and the micro market started evolving as a residential location. Also due to proximity to the port, trader community settlements developed – ‘Sindhi Society’ is a famous landmark in Chembur even today. Even as most residential developments in Mumbai swung towards the suburbs and peripheral areas due to the land shortage in the core city precincts, Chembur’s underlying potential remained largely unnoticed. Though Chembur always had small residential localities, it witnessed massive transformation only after nearby commercial office destinations such as Wadala, BKC, Powai and Ghatkopar evolved. The availability of large industrial land parcels for residential developments amply supported this transformation. As large industrial land parcels were unlocked for real estate developments, several developers gravitated towards Chembur and the micro-market started buzzing with new developments. Along with its wealth of open public spaces in Gandhi Maidan, Annabhau Sathe Garden, Diamond Garden, Ambedkar Udyan, Sandu Garden, Tilak Nagar Ground and Jawahar Ground as well as The Bombay Presidency Golf Club, the stage is set for large-scale residential developments to take off in Chembur. Connectivity to various parts of the city via multiple modes of transport is imperative for the successful development of any micro market in Mumbai as a desirable residential destination. Chembur definitely scores well on this parameter, as it is generously networked through a grid of roads and an established rail network. Eastern Express Highway: Chembur lies in proximity to the Eastern Express Highway, which provides excellent connectivity to South Mumbai, the central suburbs and the metropolitan area of Thane. Eastern Freeway: Chembur also enjoys hassle-free connectivity to South Mumbai via the Eastern Freeway, which links RK Studio in Chembur to P D’Mello Road in South Mumbai. 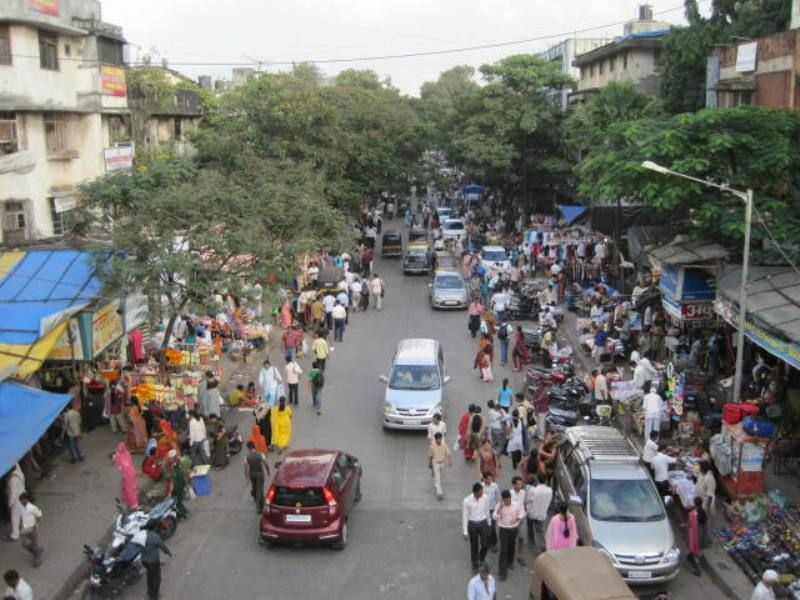 Santacruz Chembur Link Road (SCLR): Chembur is well-connected to BKC (the de-facto CBD of Mumbai) and commercial establishments of the western suburbs via the SCLR. Sion-Panvel Highway: Chembur is well-connected to Navi Mumbai via the Sion-Panvel Highway. Easy accessibility to the commercial establishments along Thane-Belapur Road is also an added advantage. Suburban rail: Mumbai’s harbour line suburban railway has a station at Chembur, which provides it with connectivity to CST in South Mumbai and Panvel in Navi Mumbai. Monorail: Chembur is well-connected to Wadala via monorail (line 1). This line of the monorail is being extended until Jacob Circle in South Mumbai and is likely to be operational by mid-2018. Metro rail: The metro station of the operational Ghatkopar-Versova-Andheri line is in proximity to Chembur, and provides excellent connectivity to the central and western suburbs. Due to continuous infrastructure upgrades and rapid growth of commercial developments in the precinct, Chembur’s residential market has been consistently vibrant and has added around 14,000 units in the last 5 years. Although this micro-market is still in early stages of development, around 40% of the supply has been already absorbed. Of the overall supply in Chembur, nearly 14% is complete. Notably, 13% of the residential inventory is likely to see completion in the next 12 months or so, implying a further rise in absorption as projects nearing completion generally witness better sales traction. Only 18% of the overall supply in Chembur will see completion after 3 years. Developers with under construction projects are now focusing on speeding up the pace of construction to avoid penalties for execution delays under the stringent RERA regime. Average residential property prices in Chembur increased from Rs. 17,200/sf in Q1 2015 to Rs. 17,550/sf in Q4 2016. Subsequently, due to the triple tsunami of DeMo, RERA and GST, residential prices softened marginally; as of Q3 2017, they hover at around Rs. 17,400/sf. Being the cynosure of a big share of new real estate developments due to its strategic location advantage, Chembur is likely to witness significant new launches in the future. Considering that the real estate sector is currently re-orienting to the new regulatory reforms, prices may remain muted for a short period of time but are likely to recover soon. In the meantime, Chembur also faces the challenge of needing to significantly revamp its previous image as a destination of rehabilitated slums and redeveloped projects to aid its faster growth and evolution into a premium residential real estate location in Mumbai.